Over the last year or so, Google has released two major updates to the way it ranks web pages in its search index. 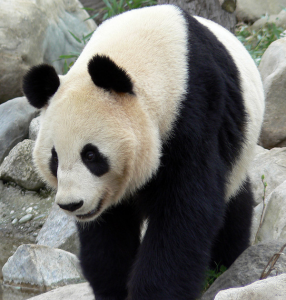 In early 2011 the Google Panda update was released, first during February in America and then in April across all other English speaking markets. This update affected many websites and was designed to improve the quality of the websites in the search index. This is a brief guide to the Panda and Penguin updates from the perspective of a webmaster who has dealt with both. The Penguin update was released around a year after Panda, in April 2012. While Panda tackled low quality content on a website, Penguin was designed to remove or demote websites that had used Web Spam to get higher rankings in Google. Web spam covers two main areas, On-page web spam and Off-page web spam. On page web spam refers to practices such as keyword stuffing and writing copy for search engines and not people. It also includes various sneaky methods of gaming the search engines, such as hidden text and doorway pages – both of which have been against Google guidelines for a while but which it now can take a more aggressive stance against. Off-page spam is mostly concerned with link schemes to raise PageRank. It is important to point out here that both Panda and Penguin are automatically applied filters. Some call them penalties, but they do not really penalise websites, they sum[ly adjust the rankings of all websites based on the content and marketing methods employed. A site that has been affected by either Panda or Penguin can be recovered. Recovery may not be an easy task in either case, but in theory any site can be cleaned and repaired. As painful as it may seem, to clean a site and improve quality you need to ensure that all these types of low quality article are removed. This may mean deleting hundreds of old product pages and removing and /or merging articles to create in-depth topics on specific subjects. Many people are loath to remove old product pages as “they used to bring in a lot of search traffic”. This argument no longer makes any sense – yes, they used to bring in search traffic, but now they are actively reducing search traffic. There is much confusion and misunderstanding out the “duplicate” content issue and Panda. Firstly, Google was already dealing with duplicate content before Panda (albeit not in a perfect way). Where Panda has changed the game is not so much in downgrading duplicate content, but in spotting similar content. The Google search algorithm now has a much more advanced understanding on language and can recognise when two articles are saying the same thing but using different keywords. For example, whereas before Google may have considered articles on “how to cure acne” and “how to remove spots” as being two different topics, it will now see that they are both on the same subject and will downgrade both articles. The Google Penguin update has led to a lot of panic and confusion, much in the same way that they Google Panda update did. The buzzwords at the moment are “Negative SEO”. There is a belief (note, no actual evidence of the case) that it is now easy for a site to be penalised if it has too many low quality links pointing at it. Low quality links include free-for-all directories, blog comments and forum profile links. All of these can be created automatically now using software such as XRumer. It is possible to create hundreds of thousands of links in a day for a site. Compare that to winning 1 or 2 new links a day, which is the rate a website may naturally accumulate links. However, I do not believe that this sort of linking harms a websites at all. The sites that think so have probably just relied too much on these methods for SEO in the past. Now, cheap linking strategies such as this are no longer of any value. So sites have not been penalised, they have simply seen the quality of their backlink profile reduced overnight. So far the Penguin update seems to affect websites slightly less. While a Panda penalty (sorry, adjustment) may have seen some pages drop a couple of pages in the Google search results, the Penguin adjustment often sees pages fall by just a few places. It is on-page web spam that is probably harming most sites now. The exact features of this are unknown, but it appears that websites which have been stuffing keywords into title tags, headers and the main copy of the page have suffered the most. Of course, it is very easy to fix these problems. You just need to go through each URL on your site and ask yourself “are there too many keywords, does it look natural?”. 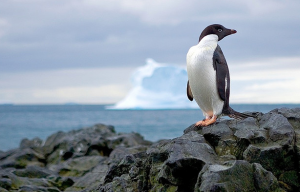 I saw a good example of a website on the Google Webmaster Forums recently that had suffered from Penguin. It had many sites with page titles starting with “how to ….” followed by various different gardening tips. The actual pages all had “normal” page headers (“how to” was never mentioned). The likely problem is that Google now knows that each of those pages was given a title tag of “how to …” specifically to help the pages rank. This is now considered spam. While this is by no means the whole picture, bearing in mind these tips should help you recovery from a penalty or avoid receiving one in the future. Jon Wade runs EssexPortal.co.uk, a website built to support businesses all over Essex and to help the people of Essex discover events and find out about all the things to do in Essex. Hello, thanks for taking the time to discuss this, Good thing you post such valuable information like this.It is always great to have more people dropping by your websites, and your post should come handy for getting more people to drop by. Good explanation about the google algorithm. nice post. Finally some useful information on Penguin and Panda. I believe there’s to much uproar over it anyways. The big kahuna’s of internet need to fear these actions. Your explanation of the Penguin and Panda made me understand more than what I’ve read online. These are more than just a list and it’s more convenient for any of us who happens to drop by your blog. this is very good explanation as well as interesting updates about the Google algorithm. nice post. White hat SEO and Marketing are recommended for long-term Google Traffic by Mutt Cutt recently. Glad you liked the article, hope it helps you all understand these changes a little better. Pretty sure this upcoming Panda update will blow away lots of bad merchants online. The information is very update, That’s Great information, I really enjoyed, I would like more information about this, Thanks for sharing.